"We know why you have a lawn. You are not a bad person." Part presentation, part group discussion, this meeting is devoted to finding answers that help you with your next step in native landscaping. Nothing is too small (houseplants or a balcony planter) or too large (plants for parks). We'll put the group to work solving a problem or selecting the right species for you. To learn what is behind this presentation and workshop, read "We Know Why You Have a Lawn" below. Scroll down for a nice summary of what Water Matters Day is and why you might want to be there. The Broward Chapter will have a booth, so stop by to say, "Hello." 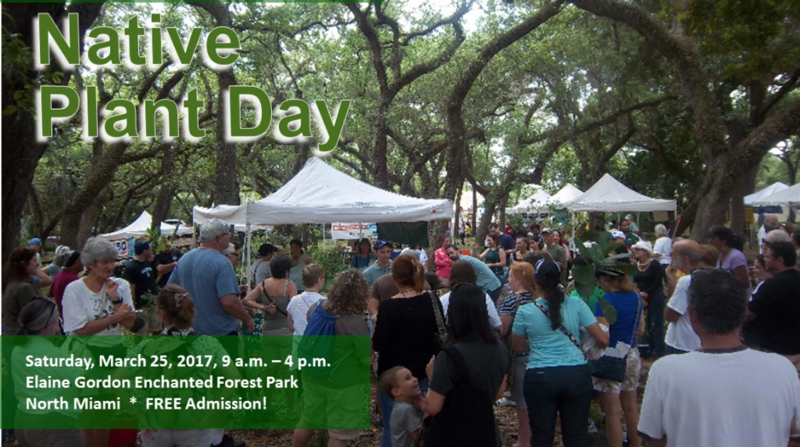 This event co-sponsored by the Dade Chapter and the City of North Miami Parks is probably the biggest native plant event in South Florida with native plant sales and educational booths about native plants, natural areas, landscaping, water conservation, butterflies, seeds, wildflowers, woodturning, rain barrels, and more. Don't deny yourself this once-a-year opportunity to see all about native plants in one place. We know that more than 40 people are at work behind the scenes to bring this big annual event to you and the public and it's free. See you there. You Are Not a Bad Person"
In the last decade, in particular, a troublesome divide has developed between those interested in native and ecological planting and those immersed in traditional gardens and horticulture. The debate over the use of native and exotic plants in particular has polarized gardeners. Several times, a new member has attended a native plant meeting and come to me afterward to confess that they have exotic plants in their yard. They expect us to condemn traditional gardening (and some of us do). After reading the authors, I am even less of an ideologue. I will always champion the native species because I love them more. I champion the science of conservation that includes real concerns for species out of their natural range. I want people to remove invasive exotics now. That said, native landscaping needs to be encouraged, not too complicated, and pragmatic. How can we help? It is not easy to provide the information people need and want because most of us are not expert native landscapers ourselves. We don't yet have a lot of great resources to help the public get started or address their common problems. 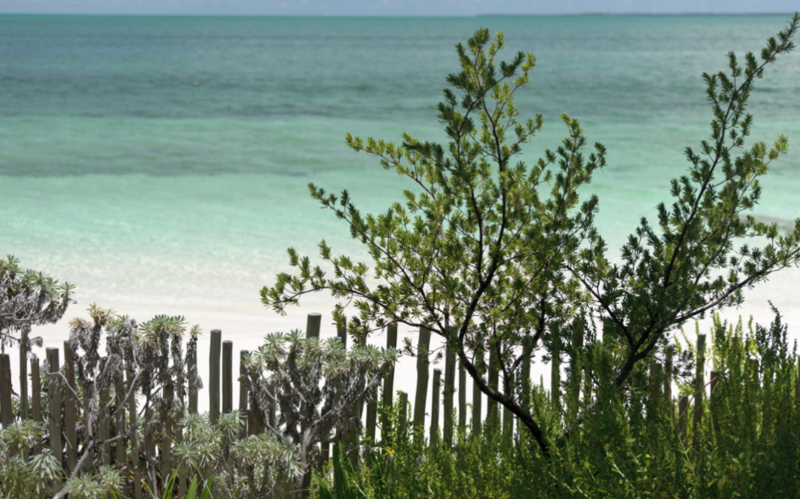 The new FNPS Native Landscaping brochure is a step forward. We celebrate it. One of the next steps is more information about Broward species, especially the stars of the urban landscape (how tall, their habits, seasonal changes, pros and cons). There are many wonderful species just waiting to be discovered and used. 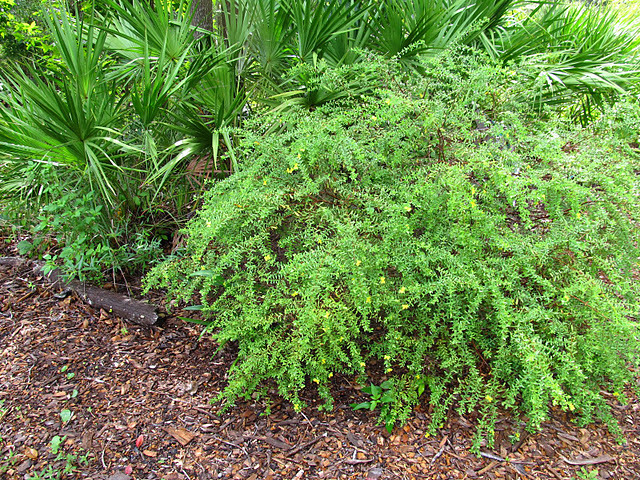 St. Andrew's-cross, Hypericum hypericoides, a dense, low-growing shrub perfectly sized for small gardens is one such. We need well-written fliers about common native landscaping challenges like low ground covers, alternatives for lawn. Practical workshops with opportunities for questions and answers would be nice, and we are doing just such a presentation and workshop this week on Wednesday, March 8th. Please come to support us. If we want to be helpful, we should probably stop saying that native gardening is easy and low maintenance. Native landscaping is probably easier than playing a violin, but at least as hard as baking a great chocolate cake. If it were truly easy, my yard would look great by now. Trust me, it's many years away from being a County Emerald Award winner. Great landscaping, conventional or native, is never easy, and native landscaping has unique challenges and practices you can't learn from conventional gardening. For one thing, native landscaping has two goals: 1) what is pleasing to us, and 2) what is pleasing to wildlife and the environment. Native landscaping is worth learning and many, many people are willing. 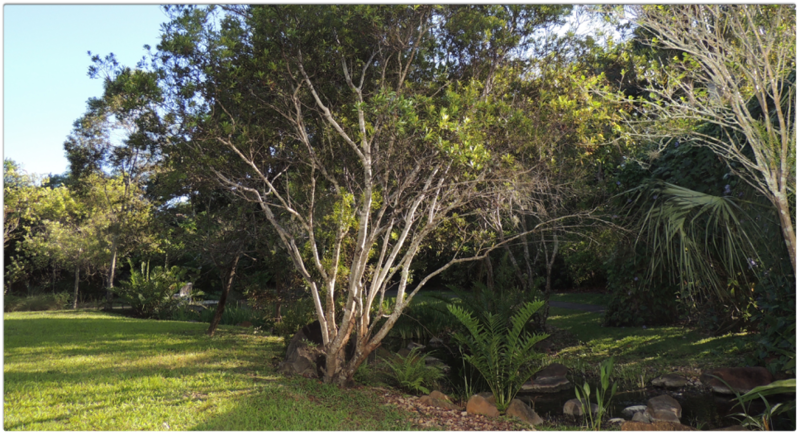 Native landscaping is full of potential to provide our most innovative and exciting urban landscapes. We just need to learn how to help people do it. The nice thing about lawns is that almost anyone can make one. In fact, you don't even need turf, you can just start mowing. Actually, you don't even need to mow. You can have an untrained high school student do that for you. A lawn service can do it really, really fast and they blow the dirt and leaves off your driveway and walks, too. That's easy. Isn't that why so many people have lawns? Who is going to help you with your native garden? The Broward Chapter will try. Start with us. people are motivated to plant native species because it is good for the environment. NatureScape, some Broward cities, Audubon, the Broward Butterfly Chapter, and even some garden clubs are encouraging people and helping them. I'm looking forward to putting our collective knowledge together to give people the information they need. We can show people how to select the species most likely to thrive in their yard. Join us around the table this Wednesday so we can help you choose plants, solve a problem, and pick up a few tips to make your native landscaping experience enjoyable and successful. 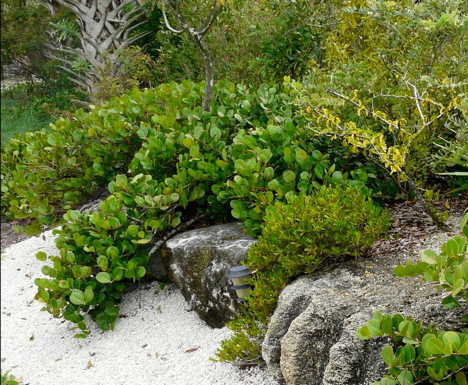 Diverse plants and wildlife, rare species, and beautiful wild gems are hidden within the natural areas of Broward. The public is largely unaware of their importance and richness. Because the public doesn't know, they haven't supported or appealed for maintenance sufficient to protect these valuable natural lands. Friends of Natural Areas is supporting a formal conservation plan for Broward natural areas. We estimate the cost of initial invasive removal to be about $1 million, plus an annual dedicated budget to maintain the gains achieved. Friends would like to publicize the natural beauty and wildlife in Broward to awaken public interest, but has very few photographs that capture the magic we find there. Your still photographs, 3-second "live" photos, very short videos, short clips of (legal) drone flights, Instagram pics, and high-quality sound clips of nature in Broward could help convey the extant beauty and wonder worth saving. All media needs to be in Broward with the approximate location identified. High quality landscape shots of hidden wild places are particularly lacking. Send us your photos or sound clips (or links to them) with permission to use them. Include the name we should use as the photo or media credit. Friends will use the best photography and natural sound to help promote public and private participation to raise funds and change priorities that ensure our natural legacy is preserved. “Water Matters” is an educational program of Broward County, administered by the Environmental Planning and Community Resilience Division and designed to promote water resource protection through management and conservation. It’s intended for everyone from homeowners and business proprietors to property managers and policymakers, and consists of projects and initiatives to protect our most precious resource. 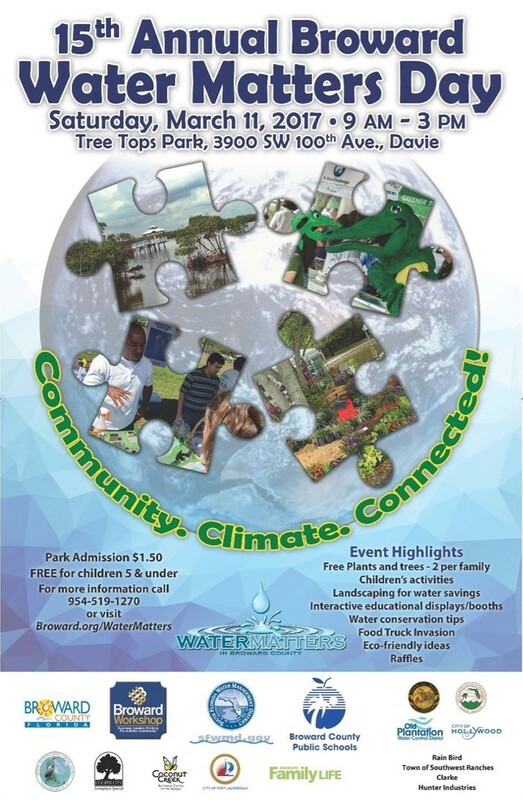 Water Matters Day is the agency’s signature water conservation event and this year it’s scheduled for Saturday, March 11, from 9 am to 3 pm at Tree Tops Park in Davie. There will be over 45 educational exhibits and booths to learn water conservation techniques such as good yard maintenance and watering, smart irrigation, native and drought-resistant landscaping, and generally how to be “Florida friendly”. All county and city agencies related to water-resource policy and planning will be there, including NatureScape. So far, over 1100 properties have been certified as NatureScapes and you too can learn how to transform your yard for certification at this fun event. 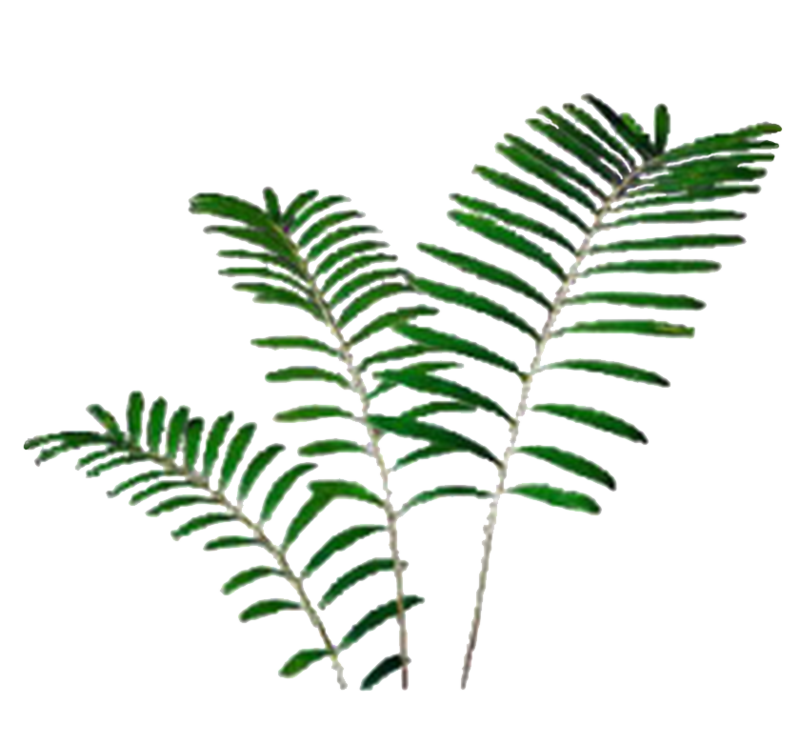 Citizen groups like Audubon, the Master Gardeners and, of course, the Broward Chapter of the Florida Native Plant Society, will also have booths. Coontie folk including your chapter president, Cornelia McNamara, and others will staff the booth and stage periodic demonstrations of xeriscape ground covers. By 2030 it’s estimated there will be over 2 million people in Broward. This rapidly expanding urban population will stress our water resources, both quality and quantity. Even today we waste an enormous amount of water every day. So come to Tree Tops Park Saturday to see what you can do to help protect our water supply. If you visit 12 booths and get stamps from each one, you’ll be eligible for a free native plant or tree. How cool is that?